I saw this activity last Saturday from my balcony and walked over to see what I might spot both at the community’s channel point and around the corner up the channel. 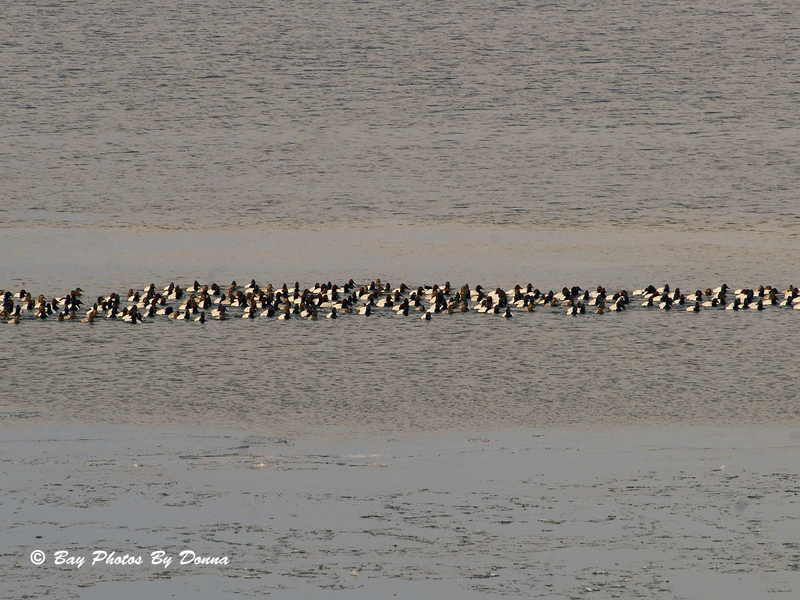 As I got closer, I sighted lots and lots of Mallards. Taking my time in movement, I finally reached and found a nice flat rock on top of our community berm with the channel in front of me to sit quietly & blend in. No one seemed disturbed by my presence. In fact, a few of the braver Mallards began coming towards me in hopes of something to eat. 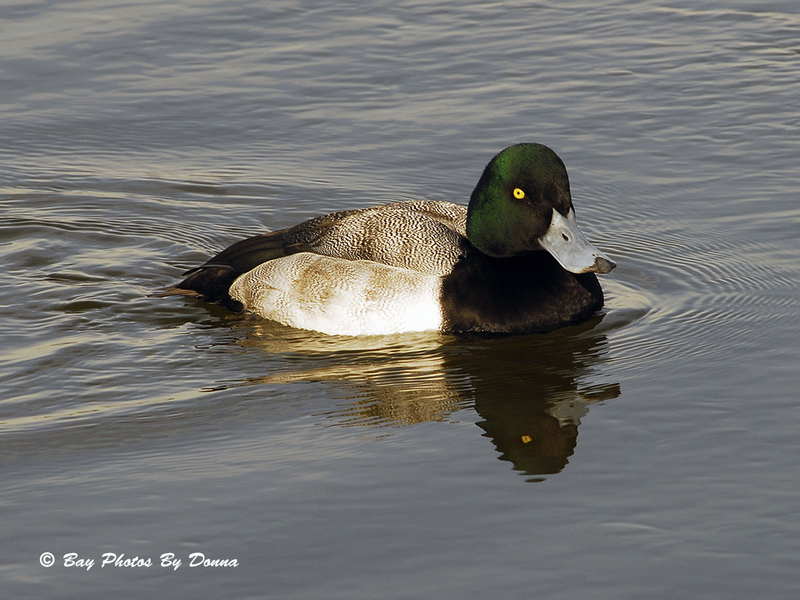 I started photographing them along with the Buffleheads, Ruddy Ducks, American Coots, and Greater Scaup that were at a distance out in front of me, where they were either sleeping or diving for food. And then there he was. 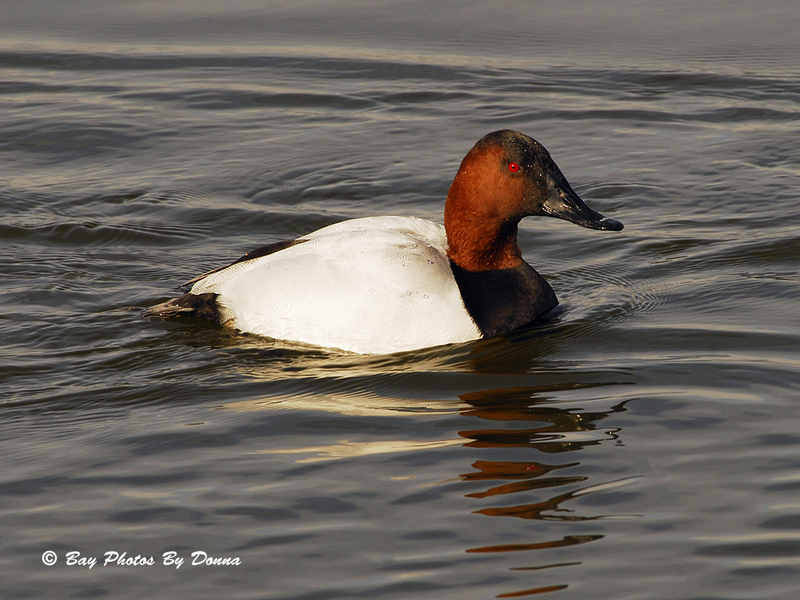 A lone male Canvasback came gliding past me along the berm. I moved my camera slowly and nervously began taking his photo. I cannot miss this shot, I told myself. Well, he was more than obliging. He was definitely cautious, but he continued to glide back and forth past me as I remained still with a shot here and there. What a thrill! I am super-pleased with my captures. Here’s a select few…. 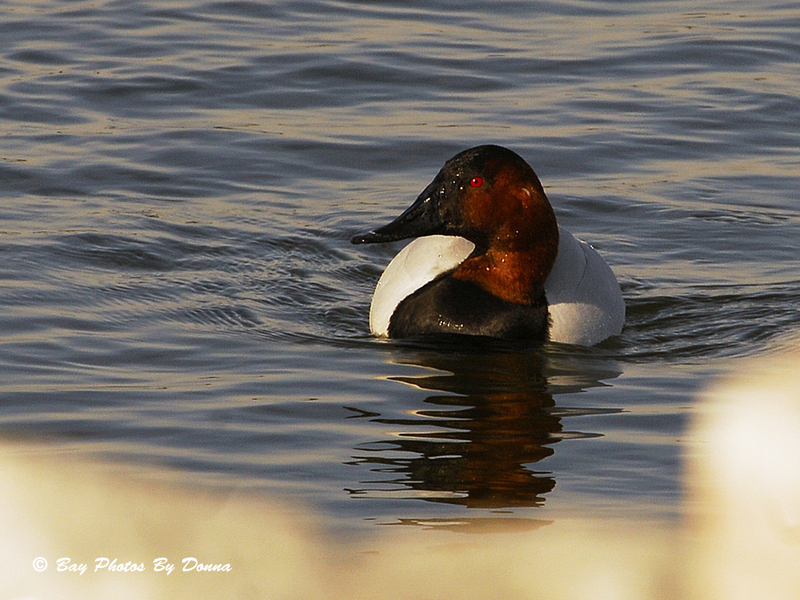 Male Canvasback seeing if the Male Duclair Mallard was being fed by me? I didn’t keep my camera on him so not to scare him off but I did try to keep track of where he was as I photographed others. 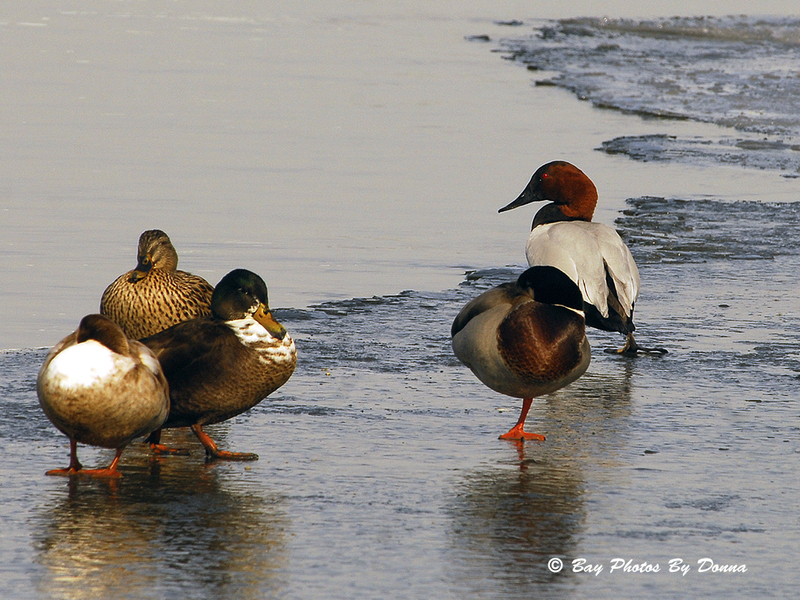 This one time I found him on the ice with the Mallards, what a crazy guy! 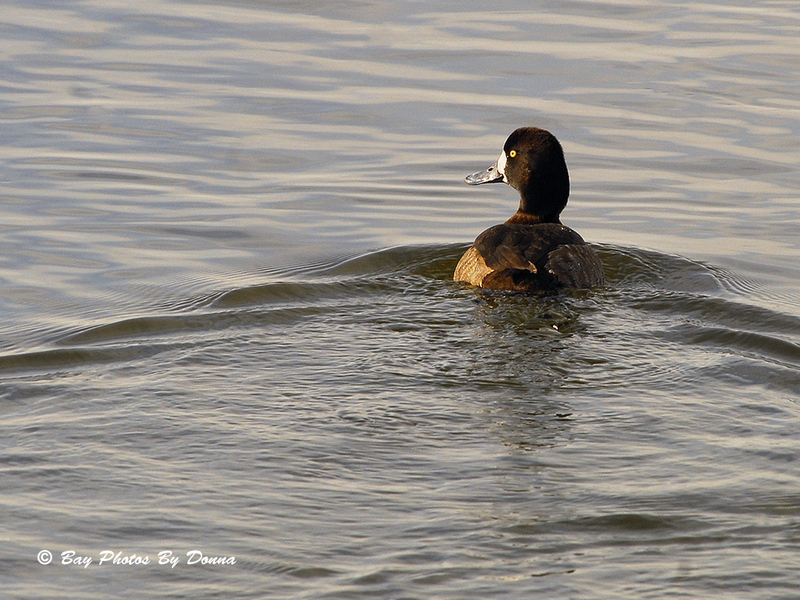 After that shot, he preened himself for a while before returning to the water. 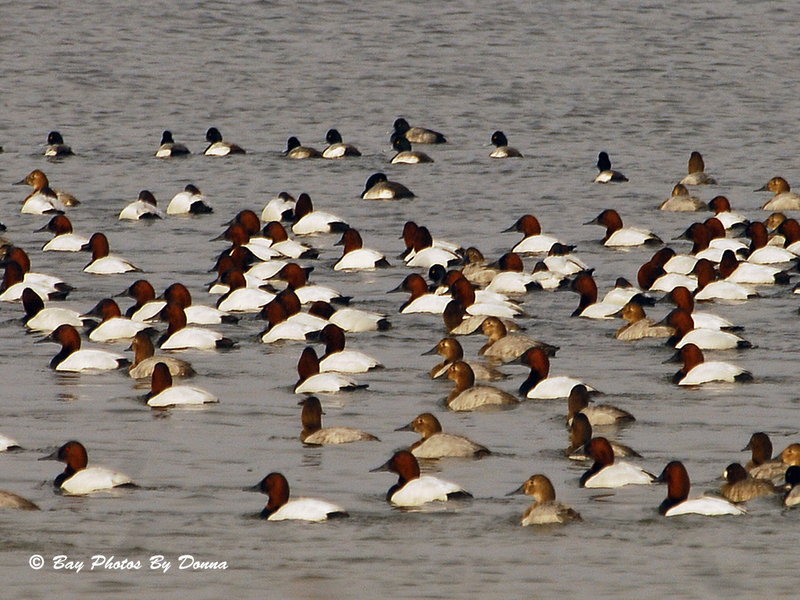 I searched around and couldn’t spot another Canvasback in the mix of waterfowl I was watching. 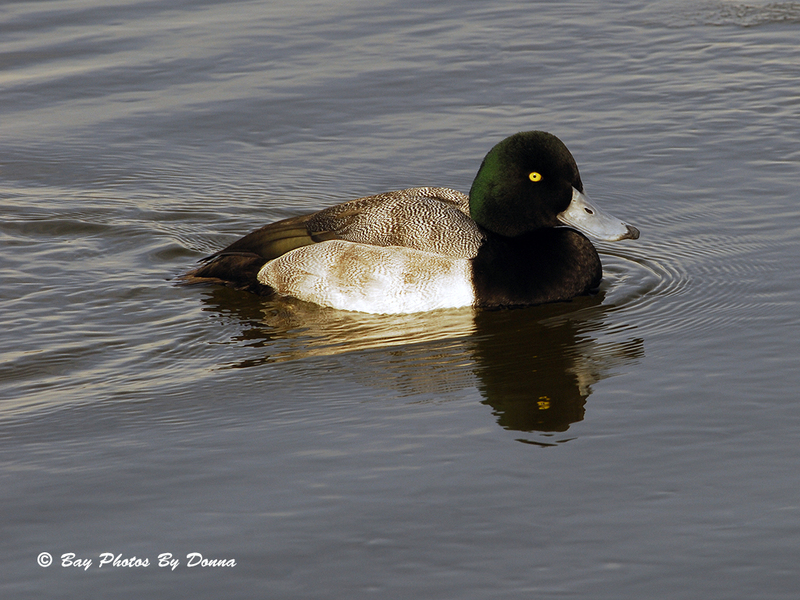 So then there was this male Greater Scaup who decided he wanted a little attention as well. Here he comes, gliding along the berm right in front of me when the Canvasback wasn’t. 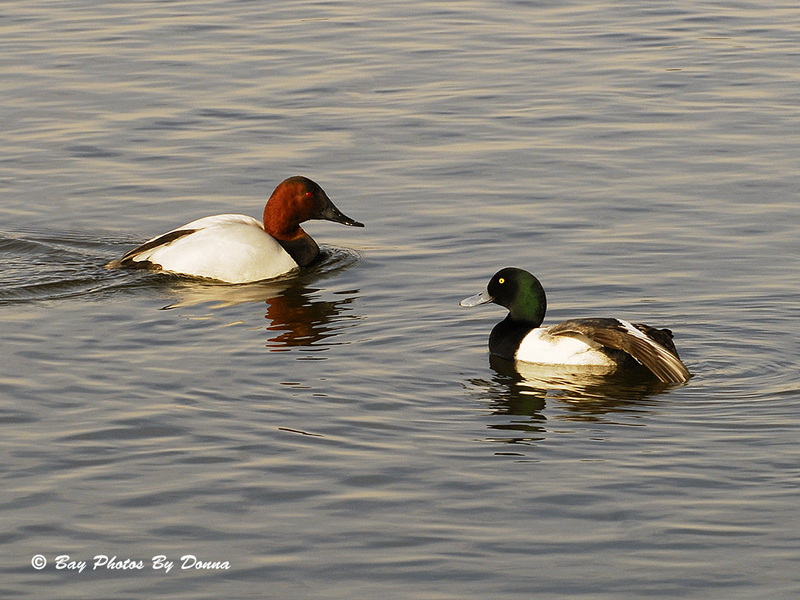 At one time, I had both the Greater Scaup and the Canvasback passing each other as they passed me. 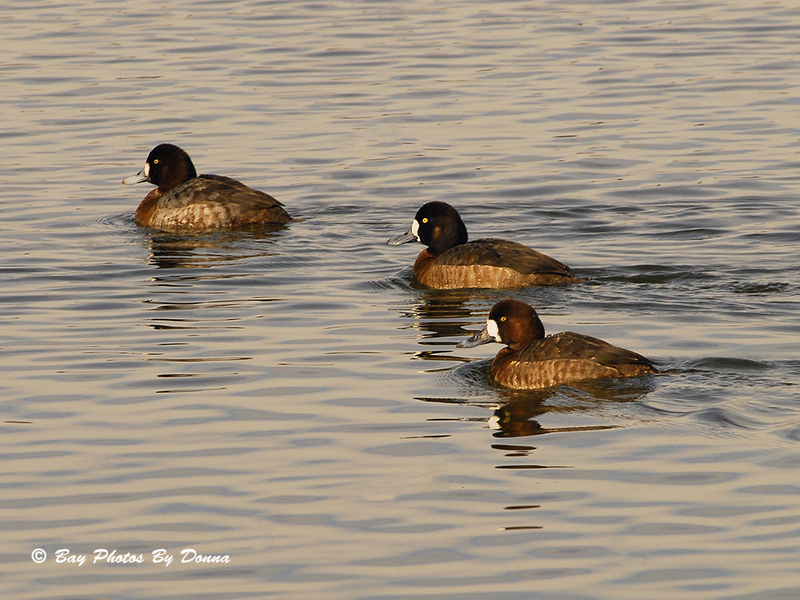 What was with the Scaup’s lifted wing? 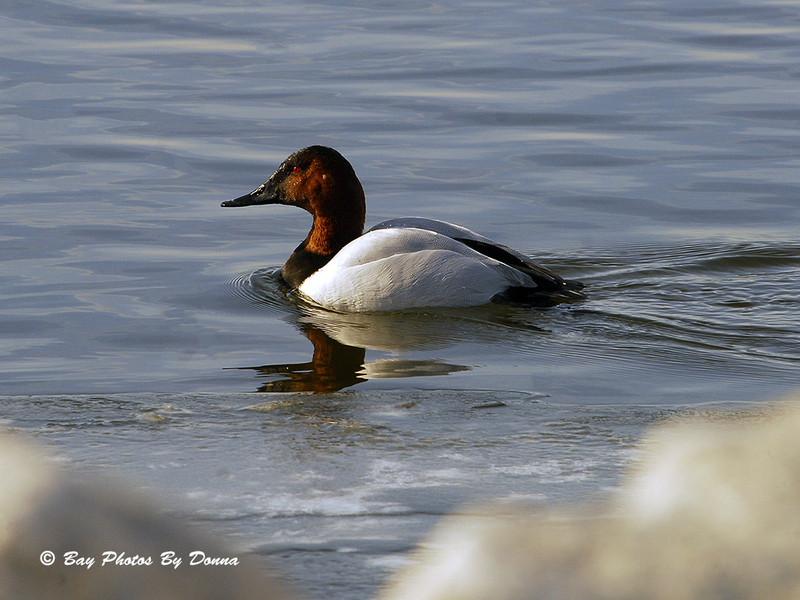 He didn’t have it that way before and kept it lifted until the Canvasback was at a distance. 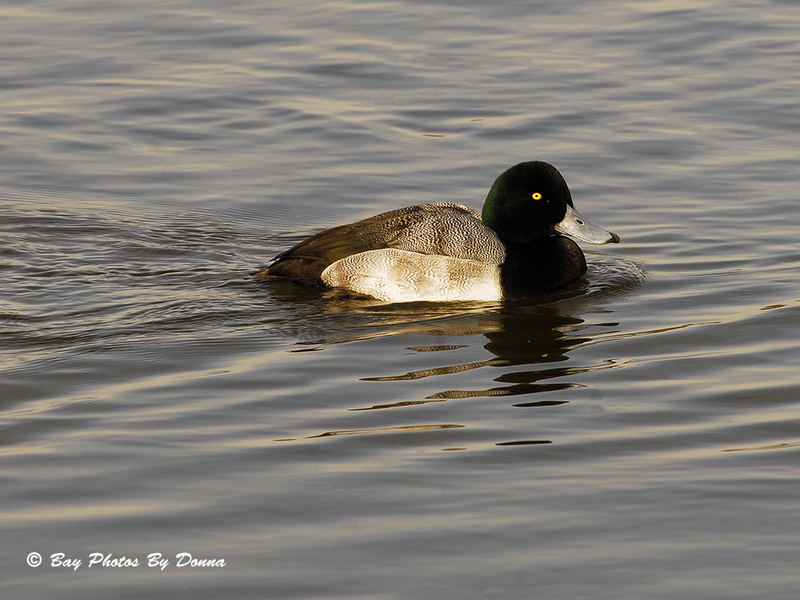 The male Greater Scaup then dropped the wing & headed back towards me. I’m guessing he was showing his stuff protecting his pretty lady who was just below me and I didn’t even know it. I just had too much activity going on, lol. 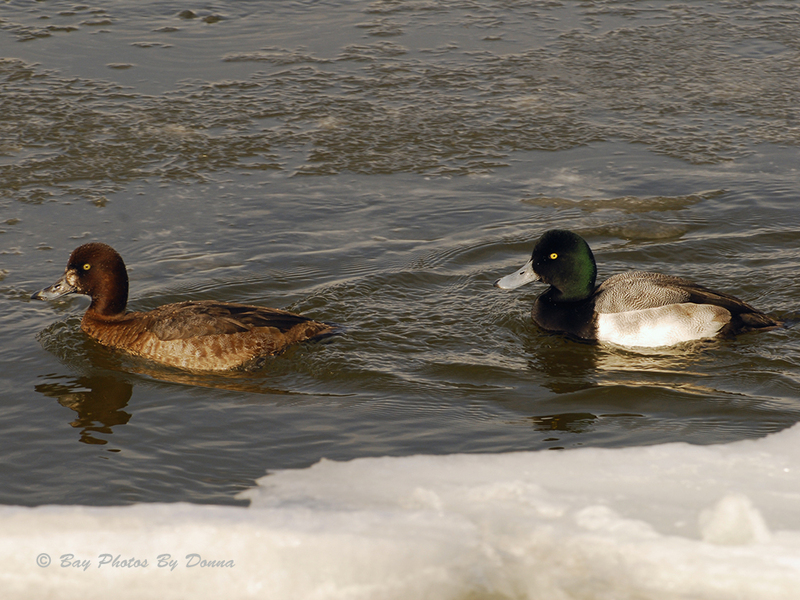 The pair headed out into the channel where they met up with these next three female Greater Scaups. 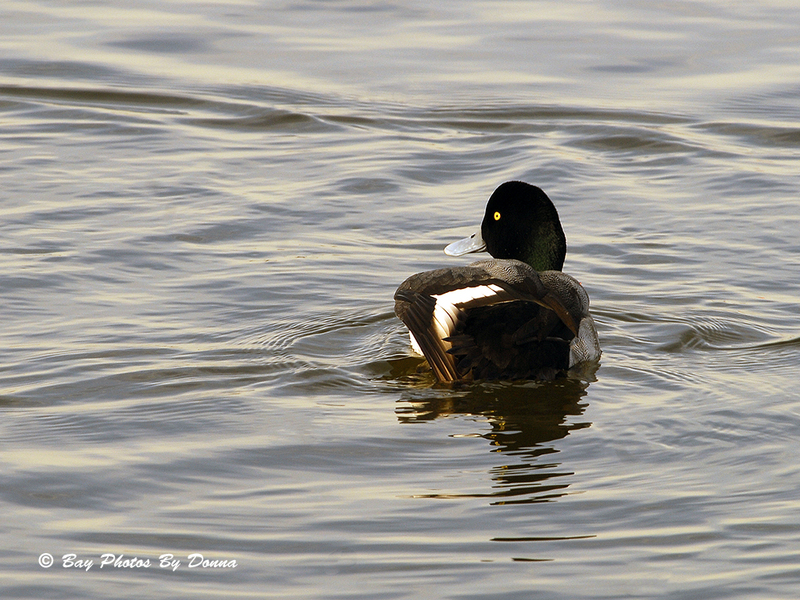 I guessed this is where we say “lucky duck” for the male…. 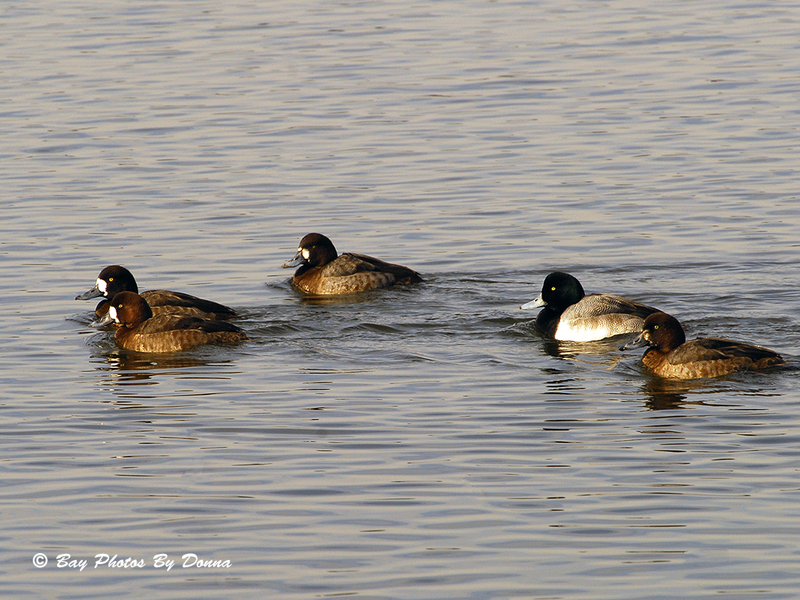 A fourth female Greater Scaup trying to catch up with the Harem. 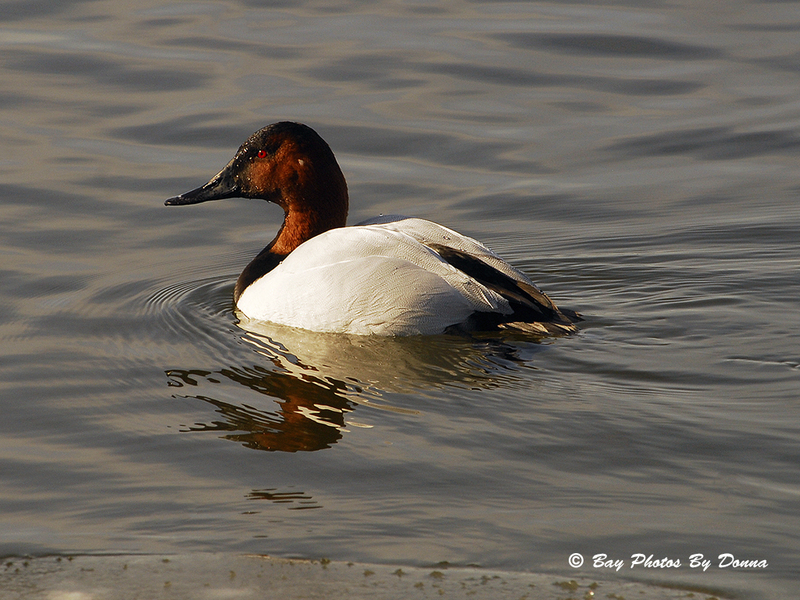 Since last Saturday, the waterfowl numbers have increased, including now a huge number of Canvasbacks. Maybe that lone male went ahead to check out the area! This morning, I snuck down for a five-minute shoot. I couldn’t get very close or I would have surely scared them into flight. So I shot from behind a bush. Another very nice collection Donna! I especially liked dsc0416, dsc0603, dsc0677, and dsc0040. John and I loved these shots and your narration. Thanks Donna! 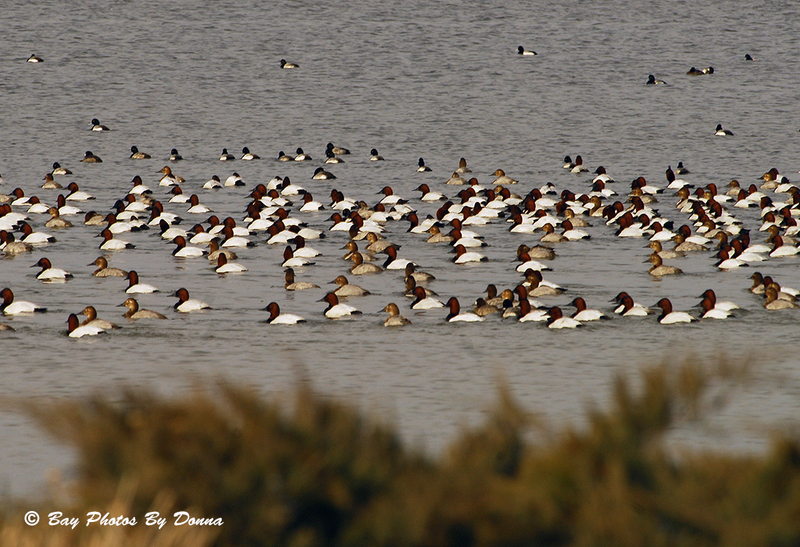 I have never seen so many Canvasbacks together. This is a real treat! Especially since it has been too cold to venture out much. 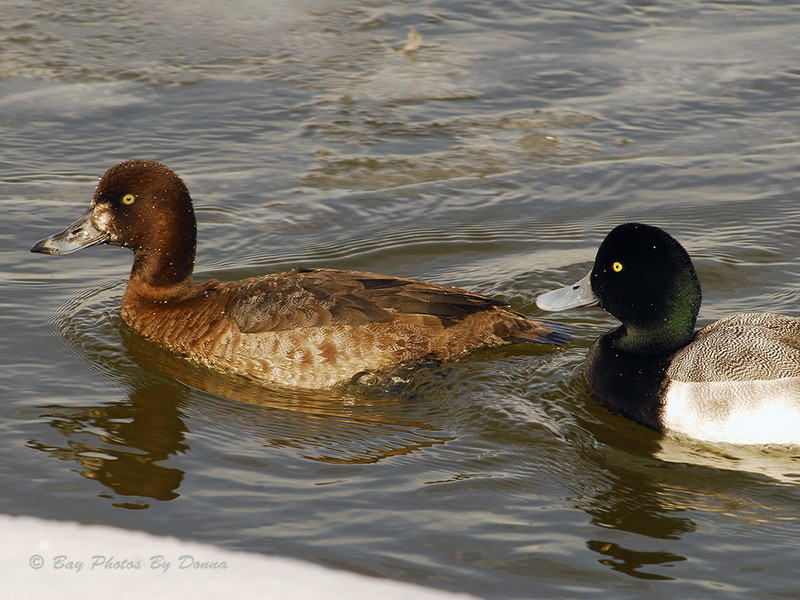 nice to see the Scaups and Mallards, too. Very nice captures, Donna. 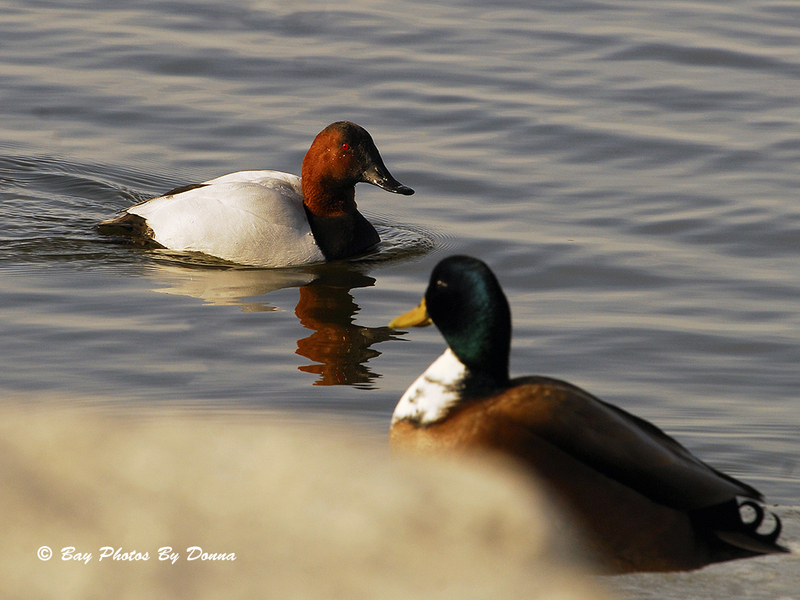 Gosh, you got some great shots of these ducks! Love them! Great pictures. He looked like he was auditioning for the part in the first several pictures..
You amaze me with your most awesome pictures and respect for nature!!! Thanks! Thanks Linda! 🙂 Hope you’re safe in the Carolinas with the snow storm. Have you gotten any snow in your SC area?